This month we have nestcams and a cool manakin lek-cam! 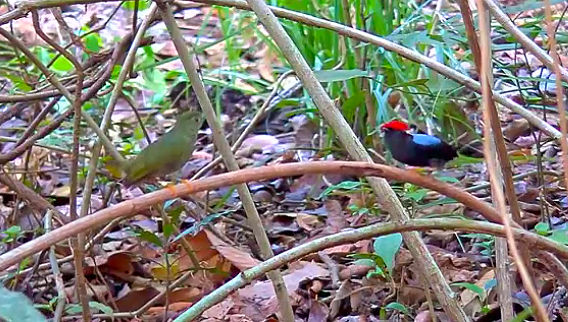 If you have never seen manakins displaying, check out this amazing live cam that, if you are lucky, will have Lance-tailed Manakins displaying at their lek. Unlike a nestcam, the action will be sporadic, but don’t miss seeing these amazing little birds displaying for mates in Panama. Barred Owl, Indiana – there are eggs! Bermuda Cahow, Bermuda – and there is a super-fluffy chick! Bald Eagle, Iowa – new chick! Laysan Albatross, Hawaii – Kalama the fluffy chick is getting bigger!